It’s not easy to earn a Florida Job Growth Grant Fund from the state of Florida. Yet in 2018, Charlotte County did it twice. In May 2018, we were one of six counties from a pool of 200+ applicants to receive this grant for infrastructure development. The $800,000 award will pay for critical water lines necessary to complete the $8 million Piper Road Extension Project, designed to drive growth near Punta Gorda Interstate Airport Park and ultimately create up to 1,400 new jobs. In December, Charlotte County did it again. Governor Rick Scott’s office announced that the County will receive a second Florida Job Growth Grant Fund in 2018 – a $1.7 million Workforce Training Grant. The grant will be matched by donations received by Charlotte Technical College and in-kind contributions within the county. Together, they’ll provide the capital required to create a venue at Punta Gorda Airport for the county and its educational partner, Charlotte Technical College, to provide training for one of the most desirable certifications in the aviation industry: Aviation Airframe and Powerplant Mechanics (A&P). 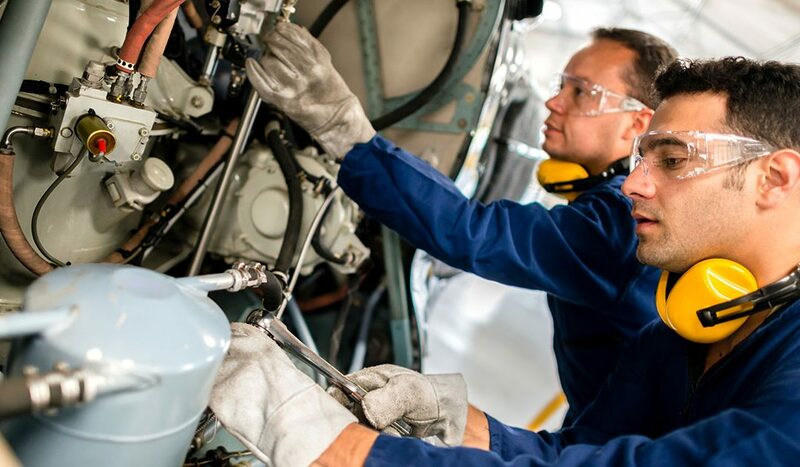 The A&P Certification Course will qualify graduates to take written, oral and practical exams for an FAA mechanic license with airframe and powerplant ratings. An FAA mechanic’s license is the global standard for technical expertise in aviation. A&P-trained mechanics are often viewed as “the surgeons of advanced manufacturing,” able to diagnose and address the most challenging issues. Course curriculum will focus on aircraft structures, power plants, avionics, system design, testing and inspection. All students will receive hands-on experience with a variety of aircraft. Charlotte Technical College estimates that 50 students will be trained in the first enrollment session, with that number increasing to 100 for the next session. The certification course is demanding with 2,250 hours of instruction required. Program graduates may elect to continue aviation career training at Florida SouthWestern State College, which offers an Associate in Science degree in Aviation Maintenance Management, or Western Michigan University/Punta Gorda, which offers a Bachelor of Science degree in Aviation Technical Operations. Charlotte County is home to over a dozen companies in the aviation industry, from a major airline to charter services, component manufacturers and air ambulances. With nearly 150 firms in a 50-mile radius engaged in aviation or aerospace manufacturing and transportation, A&P Course Certification will greatly enhance the quality of Charlotte County’s workforce, which means better resources for local companies and more high-paying jobs in the marketplace.